No cause eviction notices, rent hikes, and landlords making renter’s lives unbearable plus the overall stress of the unknown has pushed renters into action! 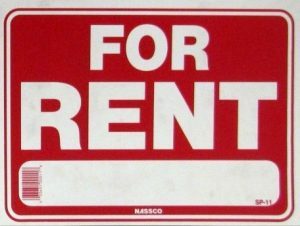 The PDX renter is saying “NO MORE” and they are taking control of their housing. In the past year we have seen many first-time home buyers find creative ways to purchase a home and beat landlords at their own game. Many reading this will say, “I don’t think I can buy home” but we ask you to reconsider. There are many programs and low/no-downpayment options that may allow the dream of a secure home to come true. Lets get inspired to begin the exciting journey to home ownership! Both Oregon and Washington have various programs and grants available to First Time Home Buyers. As a general rule a First-Time Home Buyer is anyone who has not owned a home in the past 3 years. Keep in mind to be considered a homeowner your name needs to be on the title to the property and in oftentimes on the mortgage as well. USDA Loans: For eligible suburban and rural home buyers, it’s a 100%, no-money down mortgage loan backed by the U.S. Department of Agriculture (USDA). The Rural Development loan’s full name is the USDA Rural Development Guaranteed Housing Loan. However, the program is more commonly known as a USDA loan. Veterans (VA) Loans: The VA Loan is a home-mortgage option available to United States Veterans, Service Members and not remarried spouses. 100%, no-money down VA Loans are issued by qualified lenders and guaranteed by the U.S. Department of Veterans Affairs (VA). FHA (Federal Housing Administration) Loans: An FHA loan is a mortgage insured by the Federal Housing Administration. This is a low down payment option for most people, at 3.5% down. Borrowers with FHA loans pay for mortgage insurance, which protects the lender from a loss if the borrower defaults on the loan. You can shop for an FHA loan from various sources including your local bank, credit union, mortgage lender or mortgage broker. Both banks and credit unions are a great place to start to shop for a mortgage. Many buyers also contact mortgage brokers and mortgage lenders. If you aren’t sure who to contact first, ask friends and family who they used for their mortgage. We have found the buyers who have their finances lined out before they begin to look for a home are the most successful. A good lender will prepare the buyer for what needs to be accomplished prior to applying for the loan, they will educate the buyer as to what the process will look like once the buyer has obtained a pre-qualification letter and once the buyer has an accepted offer on a home. The past several years the Portland market become a very “HOT SELLERS MARKET.” This has resulted in buyers having to get creative to compete. Some buyers pool their money and their credit scores together for a joint venture for a single family home and/or a duplex or triplex. Other buyers have a parent or family member added to the mortgage, and some buyers have purchased a home with two or more friends. The options can be endless when buyers pool their resources for the same purpose. The most successful buyer has already researched and lined up their lender and have a pre-qualification letter in-hand for a mortgage. They have found a Realtor to help get them into homes quickly and represent their best interests exclusively. It is important to identify the price point that is appropriate for the area that they want to live in and most importantly they are prepared to take the journey and do the work to find the perfect home. For those of you thinking about joining the Renter’s Rebellion in 2017, we wish you great success! We hope you find this information helpful and we look forward to an opportunity to earn your business if you find yourself in need of a great Realtor to protect your interests and help you navigate the process. This entry was posted in ALL POSTS, Real Estate Stats / Tips, TRENDING NOW and tagged buyers, competing, competitive, Home Buying, Home Sweet Home Realty, HSHRealty, investors, Portland, sellers, sellers market, Why Pay More? 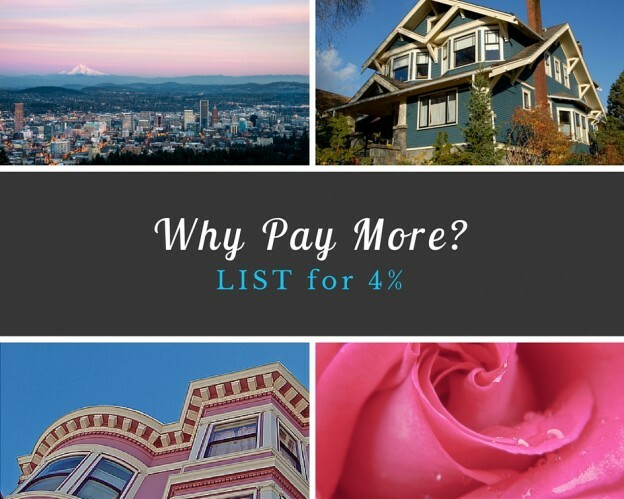 List for 4% on February 19, 2017 by Kelly Stafford. Portland is one of the fastest growing housing markets in the United States. For the third year in a row, Oregon is the top moving destination according to a study conducted by United Van Lines. 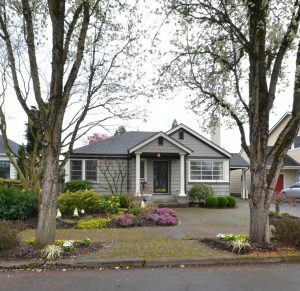 Many of these transplants are relocating to the Portland Metro Area. Cashing out of costlier housing markets and taking advantage of the relative affordability of Portland. With this influx of cash buyers and limited stock, how do you compete in a hot seller’s market? Know how much you are able to spend on your new home. Don’t forget about the closing and inspection costs when deciding how much money to borrow. Find a mortgage professional and secure a strong pre-approval letter before you begin your search. This will allow you to move quickly when you find the house you want to make an offer on. Sellers have traditionally preferred cash offers due to a perceived expediency in closing and reduced risk of the deal falling apart in the loan process. You can put sellers at ease by having your finances in order at the time of the offer. Your Realtor can help you by providing you the closing prices of comparable houses in the neighborhood you are looking. Due to a low inventory, many houses are selling for over asking price. Kelly Stafford, owner of Home Sweet Home Realty, crunched the numbers for HSH’s 2015 sales and on average the winning bids were 11% over list price. This knowledge has been very useful for HSH Realty’s buyer clients. Allowing HSH clients to make strong and realistic offers. If you are approved for a $300,000 loan don’t overlook houses listed for less. Sometimes it is worth buying a house with some minor issues that may be a turn off to buyers. You can avoid a costly bidding war and put the money you saved towards improving the house. Most importantly, don’t be discouraged if your offer is not accepted. New houses get listed every day. Stay on top of new listings and be ready to make multiple offers. You will get one! One of the best strategies for competing in Portland’s Hot Real Estate Market is to be flexible with your terms when writing an offer on a house. There are more factors than money when it comes to closing the deal. Your Realtor can help you gain a competitive edge over other buyers (yes, even cash buyers) by figuring out what is really important to the sellers. Have they found their next house? Offering an extended closing time or free rent back may make your offer stand out. Do the sellers want to close fast? You may consider waiving the financing contingency or reducing the inspection period. Though, as this article points out, it is a risk to waive the Inspection Clause completely. Buying and selling a home is an emotional process. One of the simplest things you can do to stand out when making an offer will cost you nothing! Write a letter or make a video of yourself for the sellers. Tell them about yourself and how owning their home would change your life. Are you looking to raise a family? Have you recently relocated to the area? Let them know that you think their home is special. Sellers appreciate knowing that the next person to own their home will love and care for it as they have. This technique can definitely give you an edge, especially when competing against investors. Looking to Buy or Sell? We would love to help! Contact one of our great Home Sweet Home Realtors at 503-515-2986 or online at hshrealty.net. This entry was posted in ALL POSTS, Real Estate Stats / Tips and tagged 4%, buyers, cash offers, competing, competitive, Home Buying, home selling, Home Sweet Home Realty, HSHRealty, investors, Kelly Stafford, Oregon, Portland, Real Estate, rmls, sellers, sellers market, Why Pay More? List for 4% on March 4, 2016 by Jaime Potts.